I haven’t done a Style Your Shoot in a long time – if you’re looking for ideas of how to put outfits together for your shoot then check the Style your Shoot category. Something that always surprises me is that I get emails asking where I get my own kids stuff from – apparently they always look lovely!! Why, thank you! So I thought I’d do a “Real” Style your Shoot edition with some ideas from pictures of my own girls – I hope this helps someone when planning the wardrobe for their own shoot, though I can’t guarantee that all / any of these items are still available, and of course some may have been purchased outside of Abu Dhabi. This gorgeous dress was from Marks & Spencer as were the leggings (part of another set) – but I think what really makes these pictures is the accessories (did I ever mention that BOTH my girls love to accessorise? You should see the size of their handbag collection!!!) The necklace and bracelet were from Claires and the shoes are mine!! The hairslide was from a fabric market back in China. Here, the little net skirts were from Next, as was Indy’s bodysuit saying “Princess”. I really don’t remember where Saffy’s top was from but white vest tops are relatively easy to come by. The hairband was from Claires again (it later broke and is now held togather by a piece of elastic I sewed on – I am the ultimate recycler!!!) Saffy’s flip flops from Accessorize. Indy’s little outfit was from GAP. Again, the outfit is quite simple, as is the setting so I think the book, one of her favourites, adds interest to the pictures – always remember to bring along your children’s favourite toys and books to a shoot! I adored how these two dresses worked togather. I usually say not to mix patterns – but these two just break the rules perfectly – the two dresses share the same vibrant colours and the spots and stripes just act as perfect opposites. Indy’s dress was from Marks and Spencer and Saffy’s was a 25AED bargain from Fine Fair!!! I bought these two corduroy tops about 18 months apart. Saffy’s is from Next and Indy’s is from GAP – paired with black leggings from Adams and shoes by Doodles (Indy) and Shoemart (Saffy) with an umbrella from Esprit. I’ll be giving more styling ideas for shoots again before too long – including a full run down from Saffy’s rock star shoot!! Antonina - Kirsty, can I just say that (a) the pictures are AMAZING and (b) those styles are absolutely beautiful! Well done and it’s such a great idea! 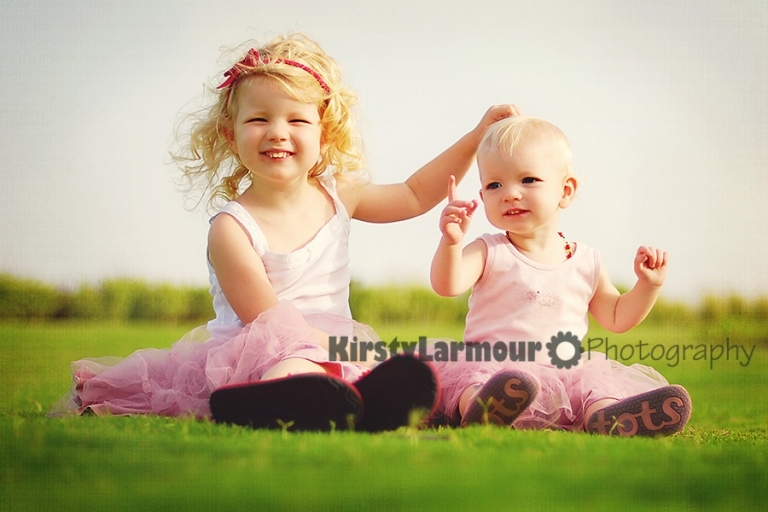 I wish I had my own kids to style & photograph (totally the wrong reason to have kids, but still). Vinita - Brilliant! What a fab idea! © 2019 Kirsty Larmour Photography – Lifestyle Photography Worldwide|ProPhoto WordPress Blog|Design by Northfolk & Co.